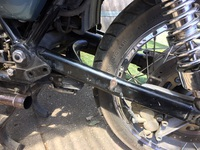 I have a Cali 2002 EV which I have a gouge in my swing arm which I am hoping to get welded to repair. 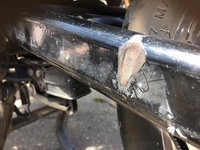 The gouge was caused by a screw holding onto to some custom pipes that was too long and has been rubbing on my swing arm. Q A loacal welder asked me if I knew what type of steel would have been used in manufacture? I Have no idea but hope someone can assist me.